Twenty-nine months behind schedule and millions of dollars in the red, the SR99 Alaskan Way viaduct replacement tunnel ground through a five foot concrete headwall, which forms the north portal, on Tuesday April 4, 2017. Circle captures WSDOT (Washington State Department of Transportation), flying a drone, documenting SR99 Hitachi Zosen TBM "Bertha" break through moment at 11:26 a.m.
At the time construction began, Bertha's 17.4 m (57 ft) diameter Cutting Head was the largest, and prettiest, cutter head in the world. 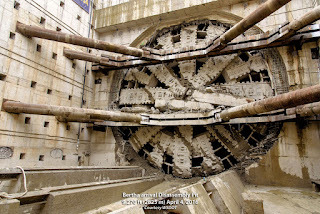 Four years later, almost to the date, at the end of 525 boring days, she's showing effects of nearly two mile bore, whilst been de-throned as "worlds largest diameter TBM." More about that later. Clearing out the rubble and removing the headwall braces will take up the next week or so. 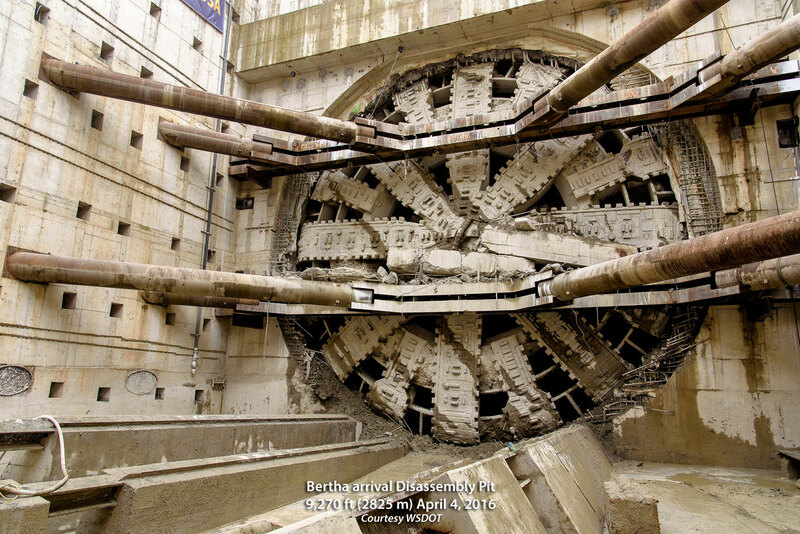 Bertha will then move into the Disassembly Pit, to meet her fate. And it is not a good outcome. Bertha began her south -to-north 9,270 foot (2,825 meter) journey beneath the viaduct she is replacing, with obligatory speeches by the usual suspects at 3:45 p.m., Saturday July 23, 2013. 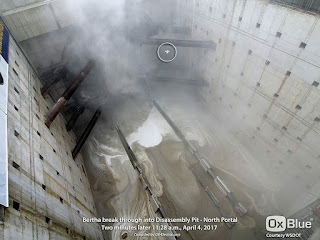 The break through at 11:26 a.m. Tuesday April 4, 2017 was handled like a routine affair, largely attended by media and State and Seattle Tunnel Partners employees. 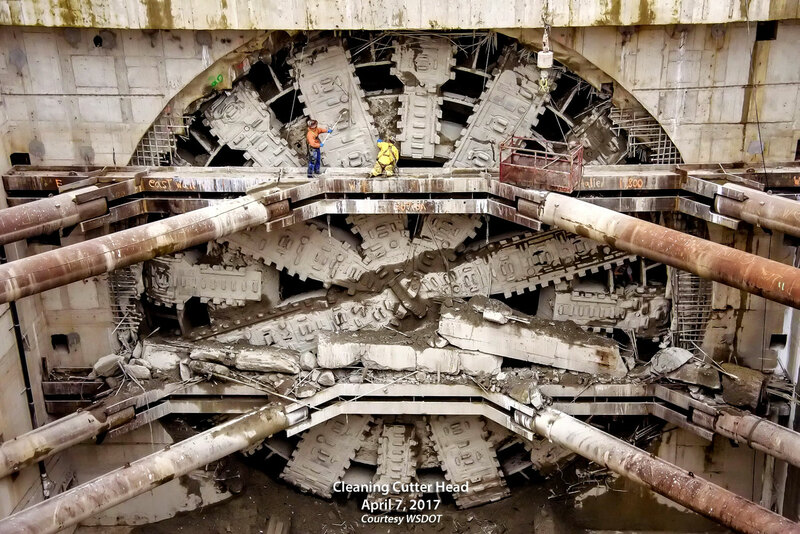 The luke warm public reception could also be do to the extraordinary cost overruns, and the prickly relationship between WSDOT, Seattle Tunnel Partners, and Hitachi Zosen, following a more than two year delay repairing a major breakdown of the TBM. 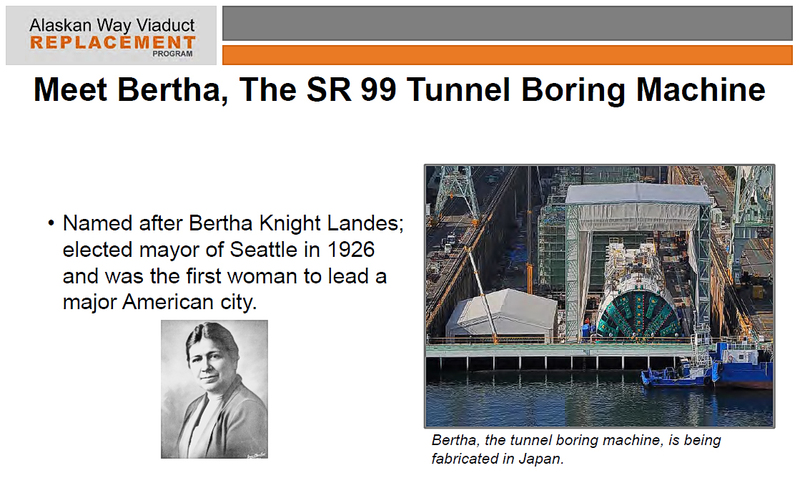 Or perhaps because Bertha is no longer the largest Tunnel Boring Machine at work in the World. 2. 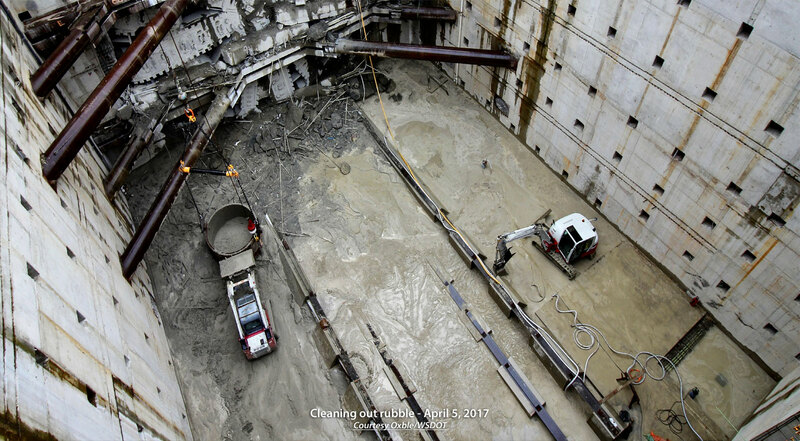 Disassembly and removal of the tunneling machine. 3. 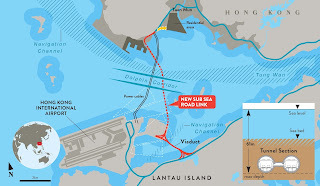 Completion of interior roadway construction. 4. Installation of mechanical, electrical and plumbing systems. 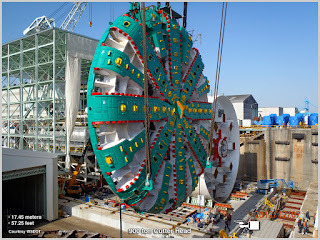 The TBM was constructed by Hitachi Zosen in Osaka, Japan. 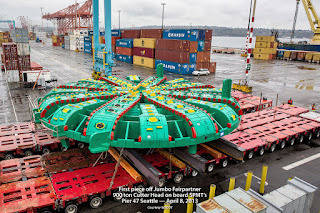 The "keys" turned over to Seattle Tunnel Partners on December 20, 2012. 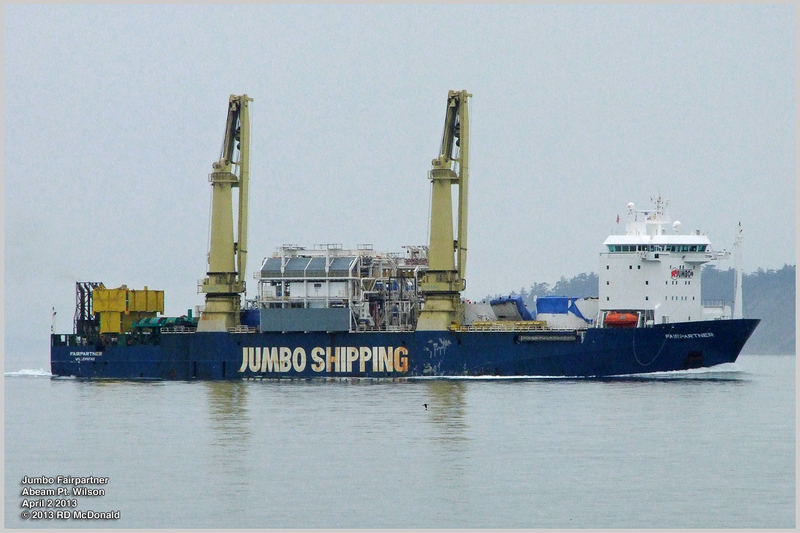 The machine was packed up in 41 crates and loaded aboard the heavy lift vessel Jumbo Fairpartner. 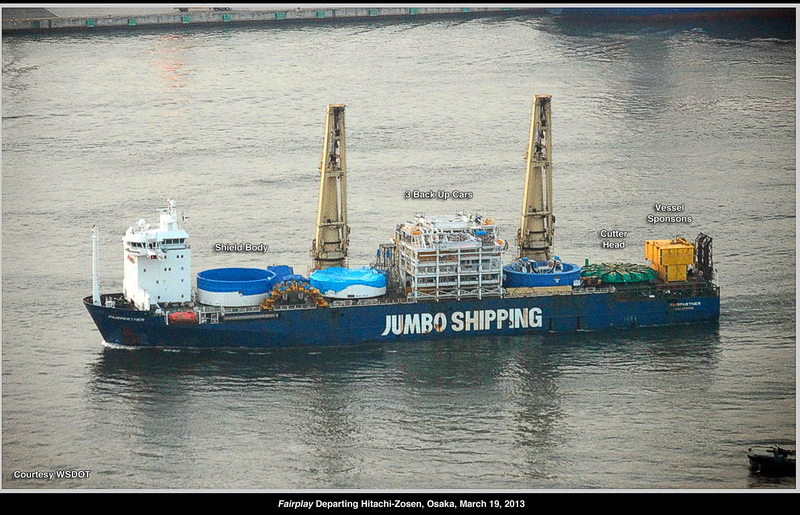 Fairpartner departed Osaka on March 19, 2013, on a 4,538 NM (84047 km) voyage to Seattle. She passed me here in Port Townsend on April 2, 2013. 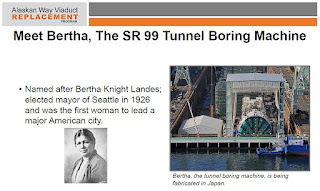 In a contest, school children named her Bertha, in honor of Bertha Landes, former mayor of Seattle. • Assemble 1. 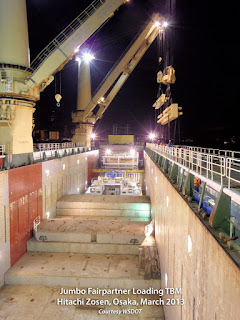 TBM constructed and tested in a dry dock in Osaka. 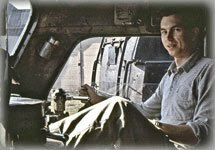 • During testing, it was revealed there were bearing problems; dismantled and repaired. • Assemble 2, for testing and commissioning. 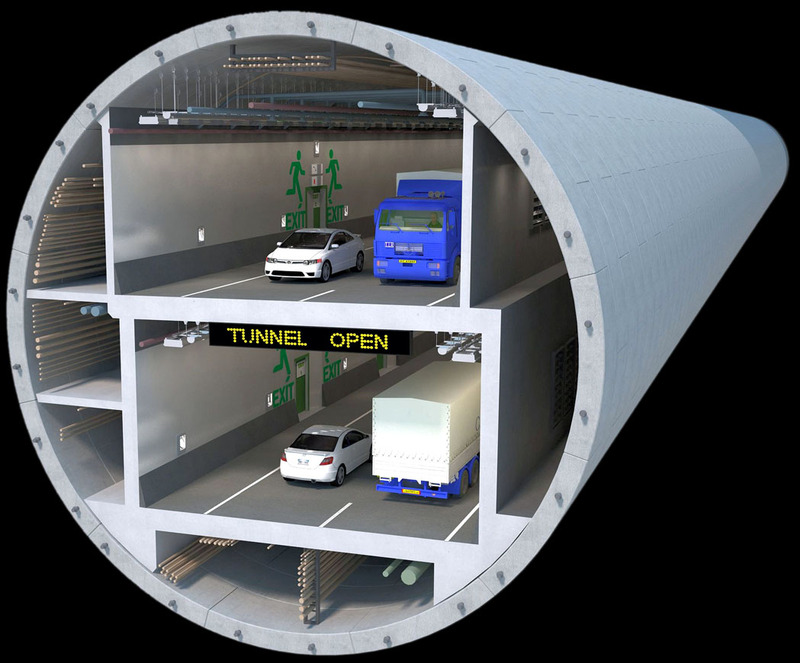 Keys turned over to Seattle Tunnel Partners. • De-constructed and packed into 41 crates for shipment to Seattle. • Assemble 3. Built in Launch Pit, now South Portal. Major breakdown. 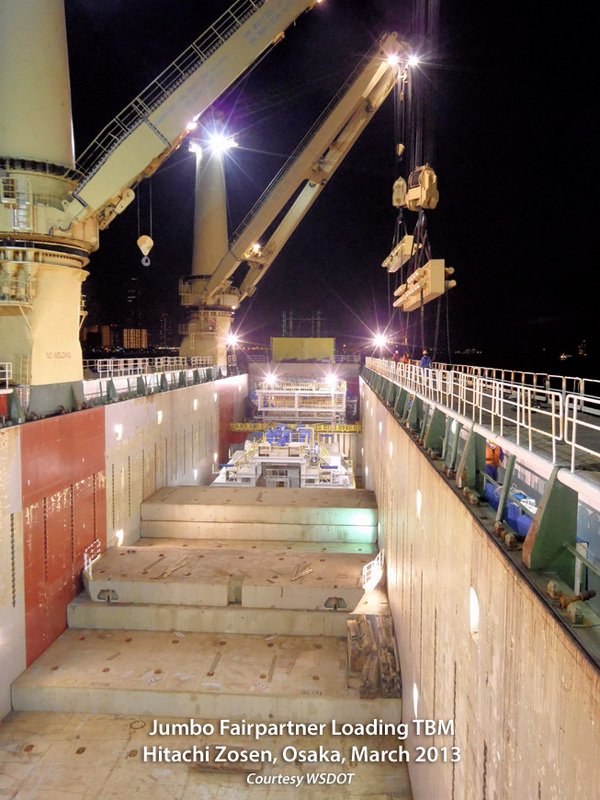 Rescue pit constructed, and Cutter head assembly retrieved for extensive repairs. • Assemble 4. Returned to pit and reconnected to boring machine. 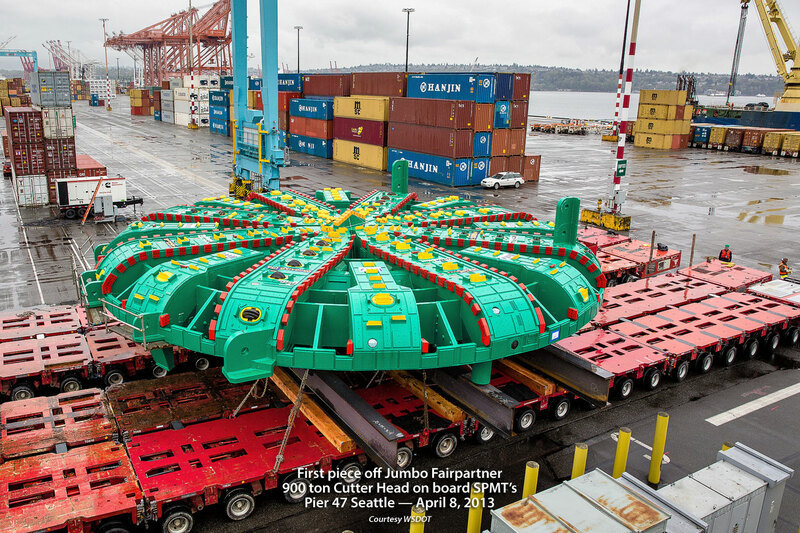 At the end of her journey, Bertha will be dis-assembled and recycled. 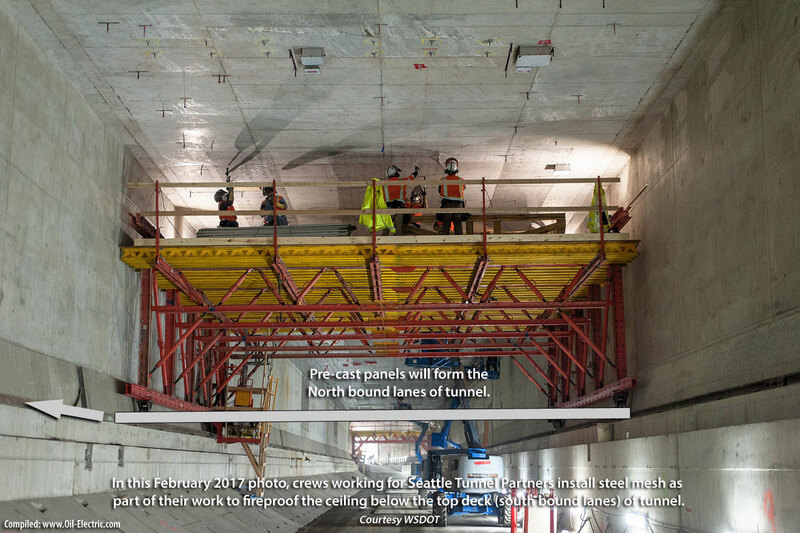 The machine will take three weeks to push forward to the north end of the vault, followed by four or five months to dismantle the front end. Nearly all the front-end steel components will be melted and recycled — after being carved into 20-ton pieces light enough to lift by crane and truck away. Virtually none will be reused except for generic parts such as hoses, belts, wires. “Almost all the parts are not reusable,” said Takashi Hayato, U.S. president of Hitachi Zosen. Apparently Bertha's construction cars will be dismantled and hauled back through the South Portal. In some cases, TBM's are buried in situ. 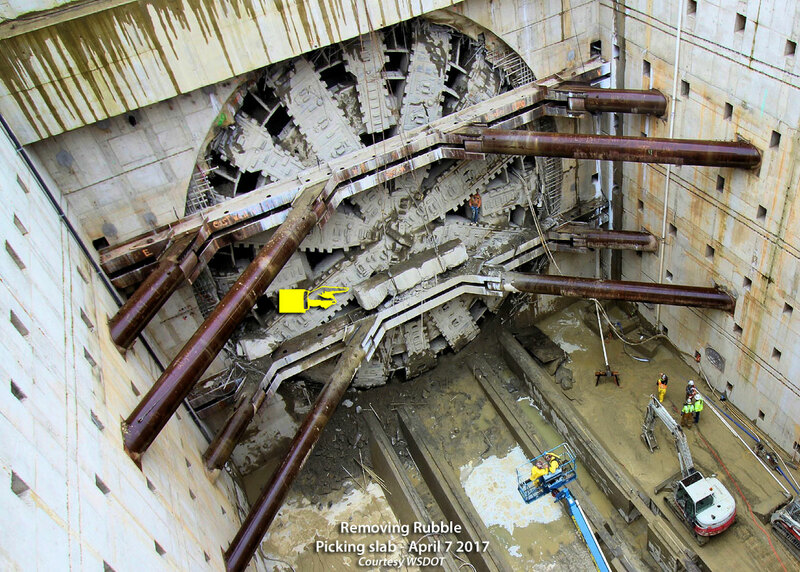 Here's an example of a TBM being buried in concrete, following removal of electronics, drive motors, and other salvageable parts. 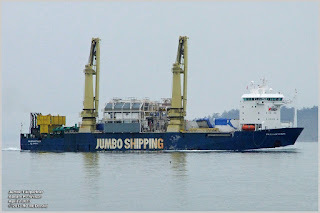 One of the 11 TMB's used in carving out the Eurochannel Tunnels was stripped and buried on the French side, while another was sold on eBay for £39,999 or ~49,500 USD. 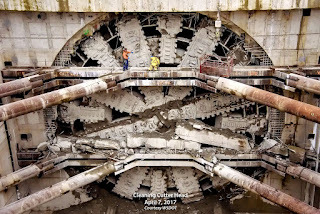 Yet another of the Channel TBM's was gutted, leaving the shell to become part of the tunnel! 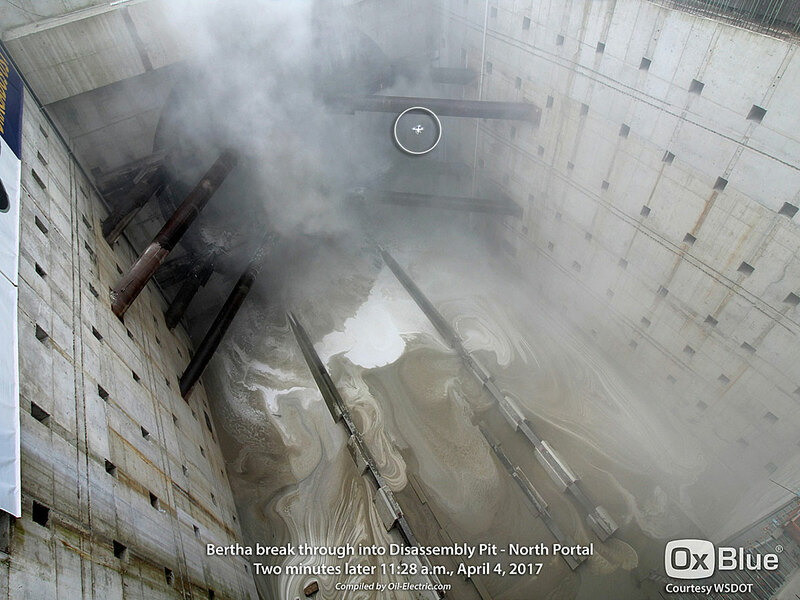 Bertha penetrated the South Portal entrance on July 23, 2013, and broke through the North Portal on April 4, 2017. 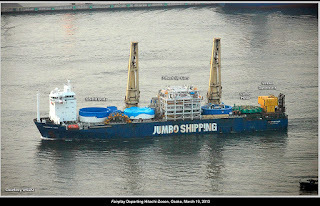 • Minus 817 days lost to repairs or maintenance. • 525 days, or 17.5 months actual boring time. 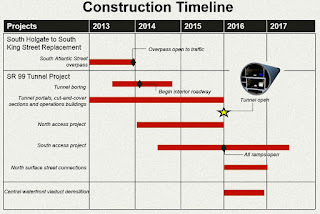 Traffic is now expected to pass through the tunnel in 2019. That compares to original scheduled opening of 3rd quarter 2015. While building the roadways has been going on for some time, completion is set for sometime in. 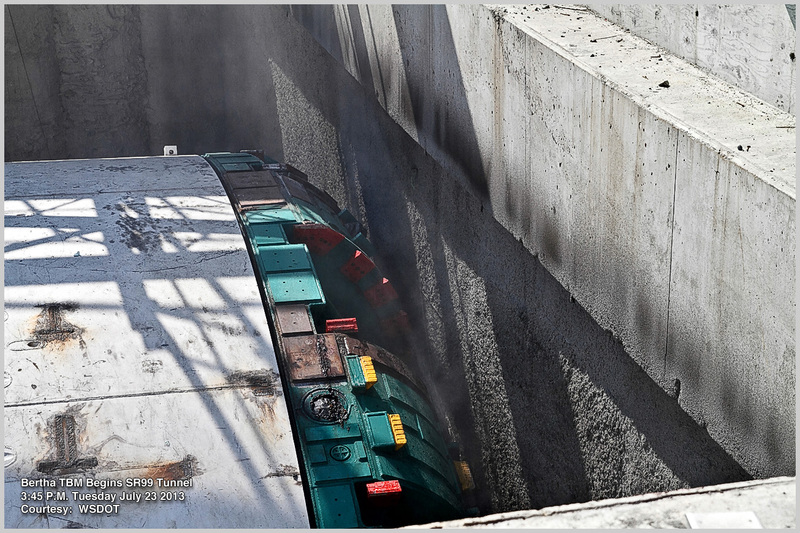 The work is tedious and complex, as shown in this video, provided by WSDOT. 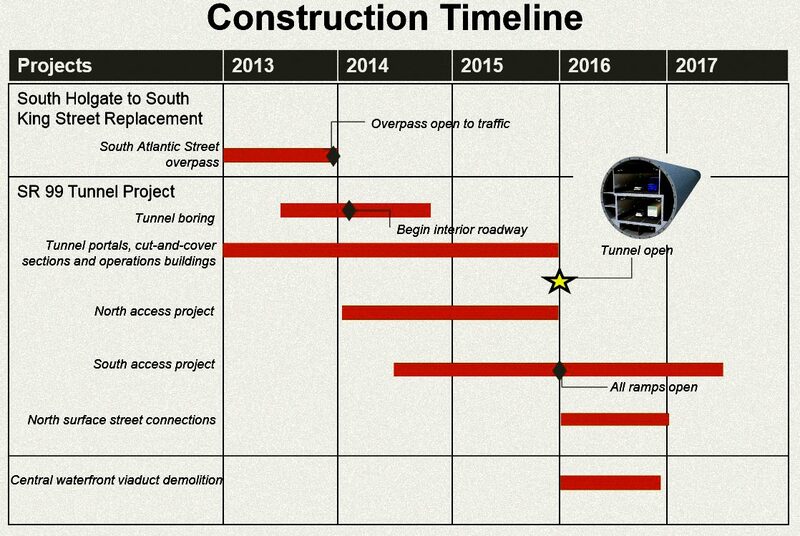 The next phases, finishing interior road ways, installation of electrical, plumbing and ventilation, systems testing and commissioning. are well underway with the North and South Portals taking shape. 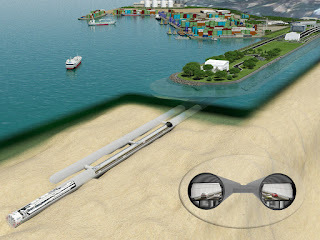 Tunnel approaches are created by "cut and cover" tunnel building techniques. This video, provided by WSDOT, explains "cut and cover" development. 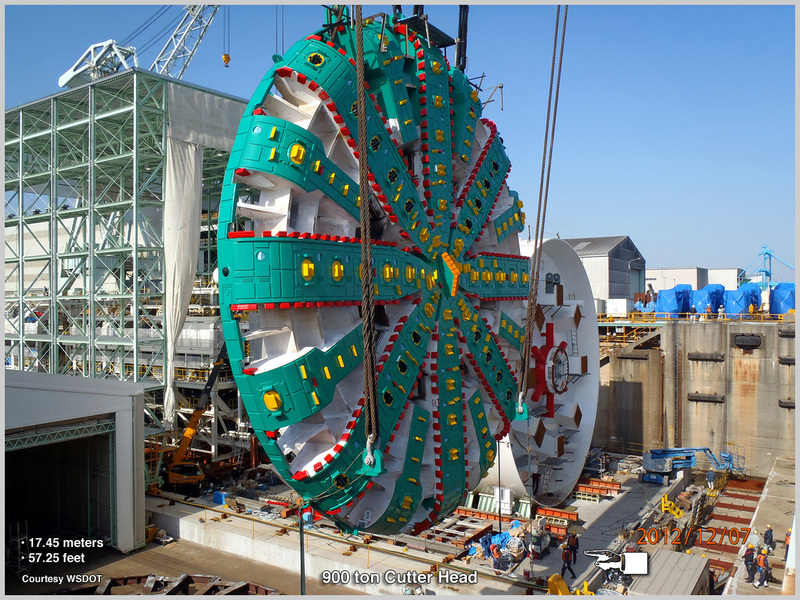 Oh, to explain my comment that Bertha "began as the largest diameter bore in the world!" 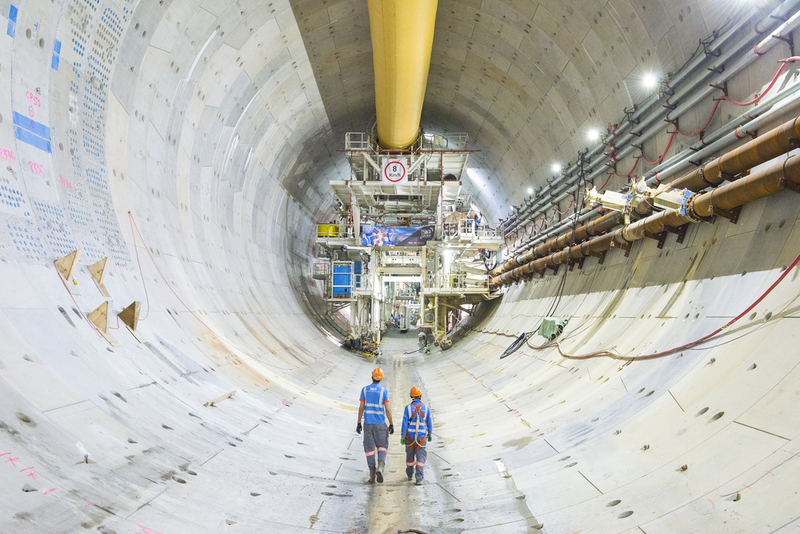 Since Bertha began her journey, a larger diameter TBM has gone into service over in Hong Kong. 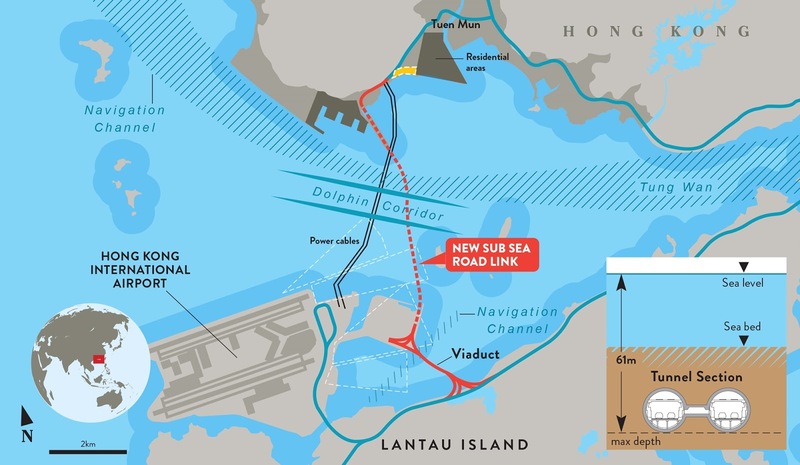 TM-CLCK is part of a massive underwater tunnel - over water viaduct complex, creating a second connection to Lantau Island and the New Hong Kong airport. 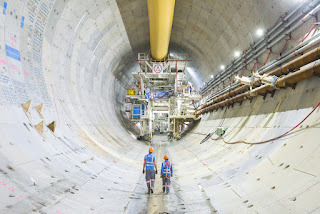 Herrenknech AG, a German TBM manufacturing company built a 17.6 m (57.74 ft) diameter, as compared to Bertha's cutter head at 17.4 meters (57.08 feet,) TBM to bore the twin - parallel tubes sub-sea highway tunnel, scheduled open for traffic in 2018. "Tunneling technology has progressed exponentially from the first tunneling done by prehistoric people seeking to enlarge their caves. All major ancient civilizations developed tunneling methods. In Babylonia, tunnels were used extensively for irrigation; and a brick-lined pedestrian passage some 3,000 feet (900 m) long was built about 2180 to 2160 BC under the Euphrates River to connect the royal palace with the temple." — Encyclopaedia Britannica Online. Click on the "Bertha" tags following, to read the progression of Bertha on this Blog.